Sunrise Ski Park offers fun for the entire family! When visitors first gaze up at Sunrise Ski Resort in Arizona, they're often surprised by what they see. Instead of desert cacti, coyotes and Gila monsters, Sunrise offers the ski and snowboard enthusiast over 800 acres of skiable terrain, as well as a year-round, outdoor playground and some of the best recreational adventures in the west. Located in the heart of Arizona's White Mountains, Sunrise Ski Resort (officially known as Sunrise Park Resort) is owned and operated by the White Mountain Apache Tribe and is known as one of the west's most affordable premier ski destinations. 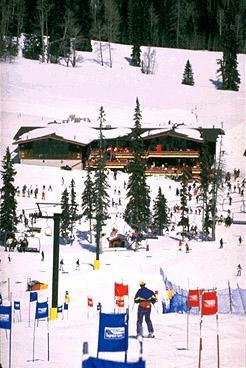 It offers not one, but three separate mountains that are geared to all levels of skiers and riders. If you're feeling adventurous, try your freestyle moves in the Sunrise Terrain Park. The Terrain Park challenges riders with a half pipe, metal and wood rails and a variety of man-made jumps for all level riders. For the beginning skier, Sunrise offers a full line of ski school programs that are designed to teach you how to ski and snowboard safely and comfortably in the shortest amount of time. For kids, the Sunrise Ski School provides Critter Club, Tiny Trackers and Mountain Explorer group classes. Adults have the option to purchase First Timer, Improve and Personal Coaching lessons. Before you go, you might want to get a head start by learning what's involved in learning how to ski. If alpine skiing isn't your thing, then check out Sunrise's Cross Country Skiing Park. 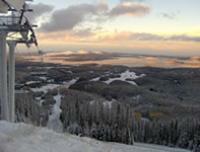 Sunrise features over 13 miles of groomed cross country trails of all levels. You can also rent cross country skis or snowshoes for the day. While mom and dad are carving their own turns, kids can play with others their age at Funland. The Funland staff will treat the little ones to a full day of ski and snowboard instruction, including lunch, snacks and equipment at the base of the mountain. When you're ready to return to Sunrise for the summer, try your luck at landing a Rainbow, Brook or Apache trout on Sunrise Lake. The Sunrise Lake and Boatdock can sell you a fishing permit and rent you a boat for the day. Adults are limited to five fish a day. Kids can catch three. If you're looking for a wonderful family resort with year-round activities for the entire family, try Sunrise Park Resort. It is conveniently located a few hours from Flagstaff, Phoenix and Tucson, Arizona. For more information, contact the resort at 800-772-7669 or by emailing sunrise@sunriseskipark.com.